I went to London, and took a walk around the block. 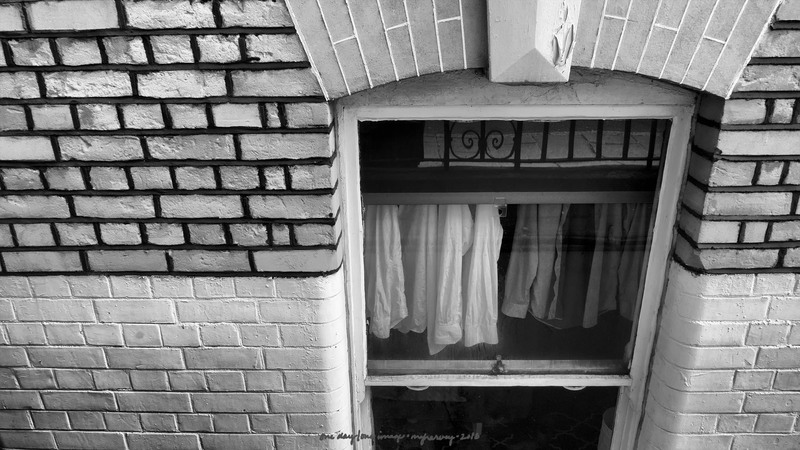 * And saw these shirts hanging in a basement window. *Don’t get me wrong: I did other stuff too. But this was hard to top. Posted on October 7, 2018, in Photography and tagged 365 photo project, black and white photography, learning to see, Leica, London, melinda green harvey, monochrome, one day one image, photo a day, photography, postaday, thoughtful seeing, travel photography. Bookmark the permalink. 2 Comments. Space must be at a premium…. It certainly looks that way, doesn’t it?